The very best thing about Blank Tags is that you can write on them whatever you want. Prices, messages, specifications, codes, and a whole lot more can be written on Blank Tags and used for your business. Seton carries a variety of Blank Tags, including: metal, tyvek, plastic and paper. 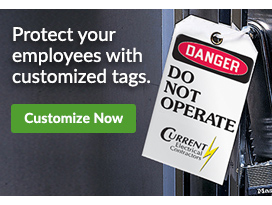 Attach blank tags to machinery, equipment, appliances, office furniture and chairs, fencing, posts and a whole lot more.